Each woman staying in our shelter or living in our housing is assigned her own Advocate, who helps her identify realistic goals and assists her in identifying the tools she needs to achieve them. Our Advocates empower women to access the resources they need to succeed. Vouchers to our Thrift Shop are issued to current and former guests and residents, as well as homeless or low-income women referred to us by our community partners, once a year. If you are in need of clothing or necessities and are working with another service organization, please have them write a letter on your behalf on their agency letterhead stating your needs and bring the letter to Abby’s House, 52 High Street, Worcester, MA between 10 AM – 2 PM, Monday through Friday. 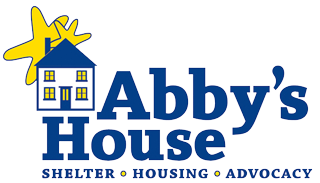 The Abby’s House Women’s Center has been temporarily located to 77 Chatham Street. The Women’s Center is open Monday through Friday, from 8:30-3:30 PM to current and former guests and residents (in good standing), serving as a space where women can find continued support, camaraderie, and services. Below are some of the programs and activities offered by the Women’s Center, as well as some of the benefits of membership. Please check our monthly calendar for activities and times. YWCA Membership – includes fitness area. If you would like to speak with an advocate, call or walk in Monday through Friday between 10 a.m. and 2 p.m.